The 2018 Budget highlights the government's commitment to improve tourism infrastructure, as well as the promotion and marketing of tourism. The 2017’s budget reduction in capital expenditure by approximately 74 percent was of much concern, because such resources are necessary to ensure the ongoing development of tourism infrastructure in tourist sites such as proper sanitation, signage, and good roads. While the government leaned towards working alongside PPPs to achieve this, public investment still plays an important component, if not greater role. The 2018 budget still maintains PPPs to facilitate the infrastructure drive, for example, in developing standards for new tourism enterprises. 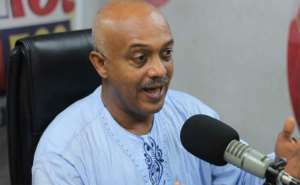 However, the increase in CAPEX, which marks an increase of about 1,577 percent from the 2017 budget (From GH¢ 1 million in 2017 to GH¢ 16.7 million in 2018), reflects the government’s realisation that increased spending in tourism has great potential to drive economic growth, and that its own investment and development in the sector is consequently, very important. Going forward, it recommended that government continually seek private partnerships to invest in good roads and other infrastructure that will attract the needed private sector investment. Government should also provide incentives to private businesses that will for instance, want to invest in the ecotourism and historical sites. Proceeds from the Energy Sector Levy (ESL) increased from GH¢ 1.6 billion in 2016 to GH¢ 1.9 billion in 2017 (projected revenue by year end 2017) and is expected to reach GH¢ 2.1 billion in 2018. Efforts on the part of government to reduce the energy sector debt have been laudable considering that the debt has been reduced to GH¢ 5 billion from GH¢ 10 billion via payments made through the Energy Sector Levy (ESL) as well as via the proceeds of the energy bond (proceeds were however unspecified in the budget). However, the energy bond-cash waterfall mechanism-electricity tariff reduction, combination of policy initiatives, is an intricate one which needs to be carefully handled or else gains from debt reduction will be quickly eroded. The Cash Waterfall Mechanism (CWM) which focuses on “allocating and paying collected revenues to all utility service providers and fuel providers”, prima facie, does not immediately deal with all the factors that lead to the accumulation of debt including excess generation capacity, technical and commercial losses of the distribution utility, government non-payment of utility bills as well as inadequate diversified sources of fuel supply for growing thermal generation. As long as these factors exist, the CWM approach may not yield desired results and the likelihood of further debt accumulation remains. Careful consideration must also be given to the impetus towards reduction in electricity tariffs in light of the above. Though government's move to reduce electricity sector tariffs on the surface, looking at only short to medium term gains has the appeal of reducing the tariff burden of consumers, there is the potential of jeopardizing debt restructuring efforts through the ESLA and energy bonds. Insofar as the energy sector levy is built into the electricity tariffs, if tariff reductions will affect the Energy Debt Recovery Levy, the Public Lighting Levy and the National Electrification Scheme Levy, then the electricity tariff reduction strategy may potentially upset debt restructuring efforts. Further, the tariff reduction strategy must not circumvent automatic tariff adjustment which is a key pivot of the debt restructuring effort. If the factors that led to debt accumulation are not dealt with thus further debt is accumulated, and enough revenue is not raised to support the operation of the CWM given the persistence of the debt accumulation factors as well as reduction in electricity tariffs, debt restructuring gains will be eroded and the government will be issuing bonds for a long time. The allocation of GH¢ 423 million to the Ministry of Special Development Initiatives towards capital expenditure (capex) for the Infrastructure for Poverty Eradication Program (IPEP) from the Road, Rail and Other Critical Infrastructure Development priority area of the Annual Budget Funding Amount (ABFA) is a bit worrying; especially considering the fact that only GH¢ 150 million (a reduction from the 2017 budget allocation of GH¢ 177.8 million) was allocated to capex for rail infrastructure and GH¢ 200 million to capex for road infrastructure. Earlier caution had been given in our analysis of the 2017 budget concerning the vagueness of the “Other critical infrastructure” aspect of the priority area because it gives room for the thin spread of the ABFA. There is no comprehensive policy document that details the projects the IPEP would cover (even though some of government's flagship projects have been listed) yet the programme has been allocated GH¢ 423 million. It will be useful for the government to clearly justify this allocation by presenting the details of the programme that warrant this allocation. The government's move to push forward with the LPG cylinder recirculation model is commendable. In rolling out the policy next year however, the government has to be mindful of the fact that gas explosions still remain largely a function of safety measures than location of gas filling stations. Therefore gains from the recirculation model risk being eroded if critical steps are not taken to strictly enforce safety measures at the bottling plants to be established. Further, there is the need to harmonize the work of all relevant oversight bodies including the National Petroleum Authority, the Ministry of Planning (Town and Country Planning) and the Ghana Standards Authority and to ensure proper monitoring and supervision in the performance of their roles. This is to both ensure that safety measures are upheld and that communities do not develop around bottling plants. The business model for rolling out this policy must be robust to ensure sustainability of the policy overtime and also to rope in the existing 307 Bulk Road Vehicle operators and 647 gas filling stations. It is also necessary to reconsider and fast track the recapitalization of the Ghana Cylinder Manufacturing Company which has been unduly delayed. This will ensure the security of supply of LPG cylinders as well as serve to reduce imports of cylinders. Finally, it is important to segregate the market into industrial, commercial and residential segments in order to adequately meet the needs of these segments while avoiding LPG shortage and the development of a black market.